In the time of King Arthur, knights displayed their skill and prowess at tournaments held throughout the land. 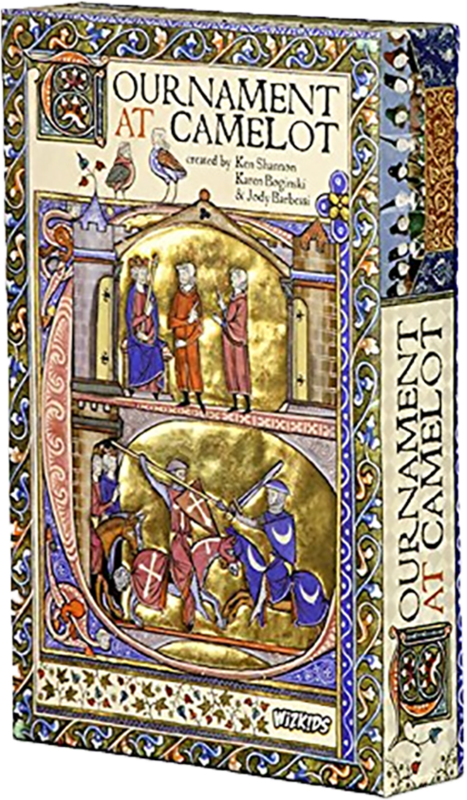 In Tournament at Camelot, you play as a legendary character (Protagonist), battling opponents with weapon cards—Arrows, Swords, Deception, Sorcery and even Alchemy. The more you injure your opponents, the better you fare in the tournament. However, even the most injured characters can make a complete comeback with the grace of Godsend cards and the aid of their special Companions. This trick-taking game ends when one opponent has been injured to the point of death. The player with the most health is then declared the Tournament victor!